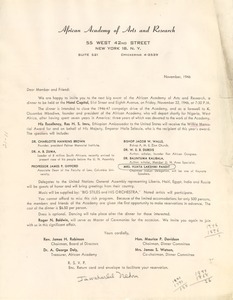 New York (N.Y.) - Outlining the proceedings of the Academy's "So This is Africa" program, featuring addressed by Akiki Nyabongo, W. E. B. 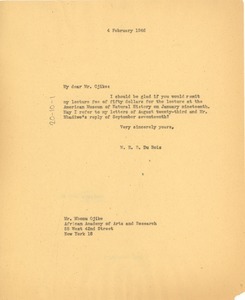 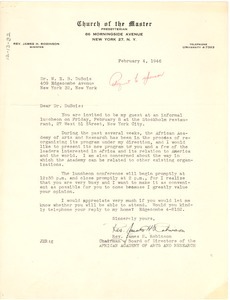 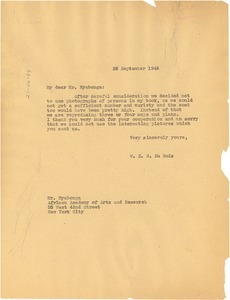 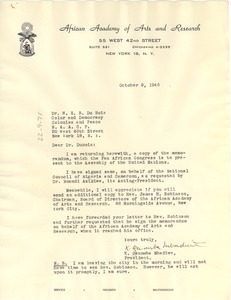 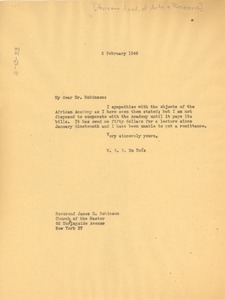 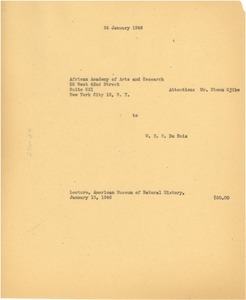 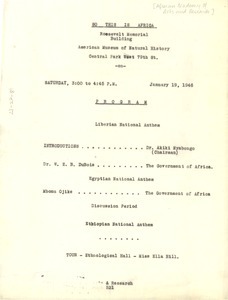 Du Bois, and Mbuno Ojike, and a tour through the American Museum of Natural History's Ethnological Hall by Miss Ella Hill. 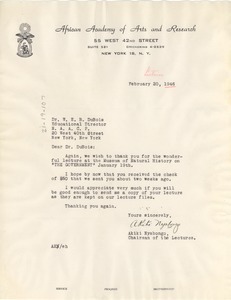 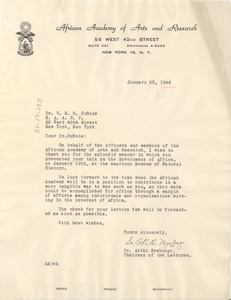 New York (N.Y.) - Addressed to Mbonu Ojike; seeking the $50 payment due to him in remuneration for his January 19th lecture for the Academy at the Museum of Natural History.